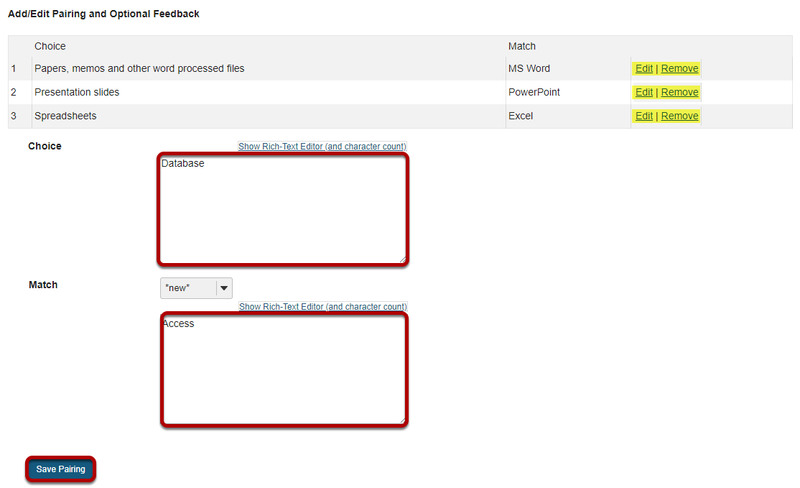 Sakai Guides and DocumentationSakai Complete User Guide Tests and QuizzesHow do I create a matching question? This feature allows the user to create a numbered list of choices and a corresponding drop-down list of matches. Select Matching from drop-down menu. After selecting Matching from the drop-down menu, the program will open additional options for the question. Add text for Choices and Matches. Zoom: Add text for Choices and Matches. Note: You may also select the type of match from the drop-down menu. Choices of match type are *new*, *distractor*, or select from existing matches. 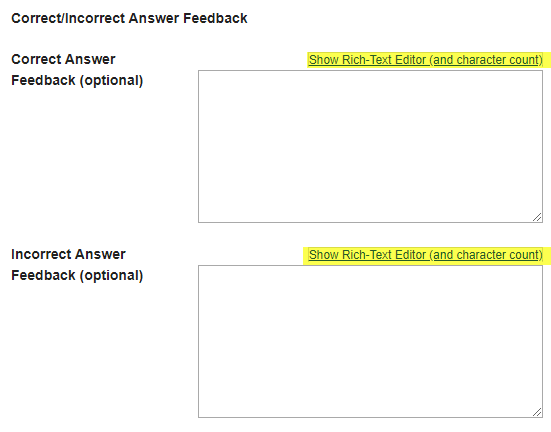 Feedback is optional text available for the student to review after the particular question is graded. 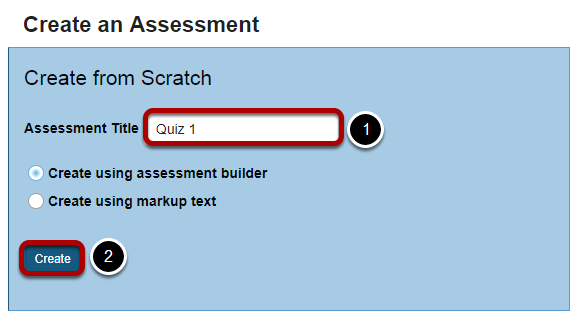 For matching questions, the feedback option is offered for correct and/or incorrect answers, if desired. Tip: To edit with Rich-Text Editor, click the hyperlink to open the full menu. 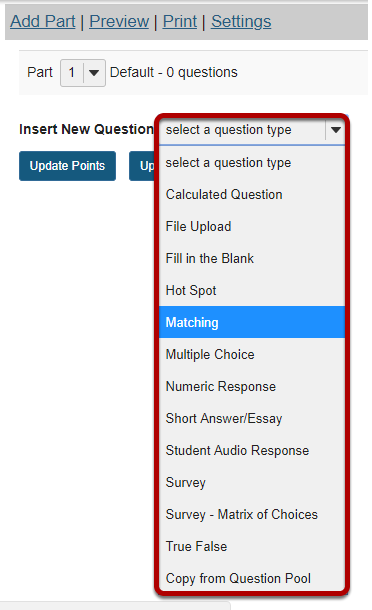 Prev: How do I create a multiple choice question? Next: How do I create a true/false question?